CooksRecipes has quality, kitchen-tested recipes for fruit beverages that you can count on for deliciousness. 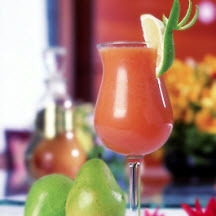 Agua frescas—Spanish for water refreshments—are popular in Mexico, Central America and the Caribbean and are made from fruits blended with sugar and water to make a nonalcoholic beverage. A cool, slushy and refreshing fruit beverage. 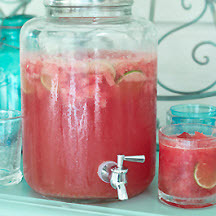 Great for summer entertaining or cooling off on long, lazy days. 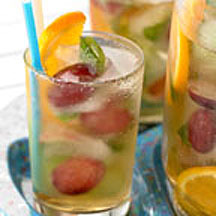 Kids will love the grown-up feel—and taste—of this sparkly fruit spritzer.